We love simple science experiments at our house! The kids love getting to study science concepts through hands-on activities best and are always excited when we have a fun science activity to try. We have been studying air in our science time and took a few minutes to talk about how air is always around us, but we can’t always see it. 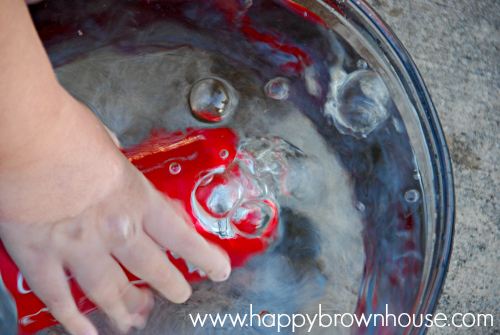 This science experiment for kids is quick and easy! Since air is invisible, it can be a tricky science topic for kids. You can feel air around you when it is windy and you can see leaves move, but you still can’t see air by itself. In order to help the kids “see air” and realize that air is everywhere we did a quick science activity to test for air. Testing for air is a really simple science experiment for kids. With just a few household items, you could set up this experiment in less than five minutes. Push the can or bottle into a bowl of water so it begins to fill up. Watch what happens to the water. You will see bubbles as the water pushes out air from inside the bottle. Most things that look empty are really full of air. 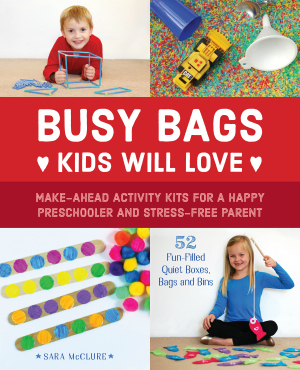 So easy and your kids will be amazed! I took a video of us performing the simple science experiment for the first time. You’ll notice that I didn’t give them the answer, but gave them thinking time and rephrased my question to help them. I want my kids to learn how to think and work it out. I knew they could get to the answer since we’ve been talking about the science concepts, but you’ll notice that they were talking so fast that other science terms came out. My point? Give the kids plenty of time to think and form their answer before you swoop in and tell them. 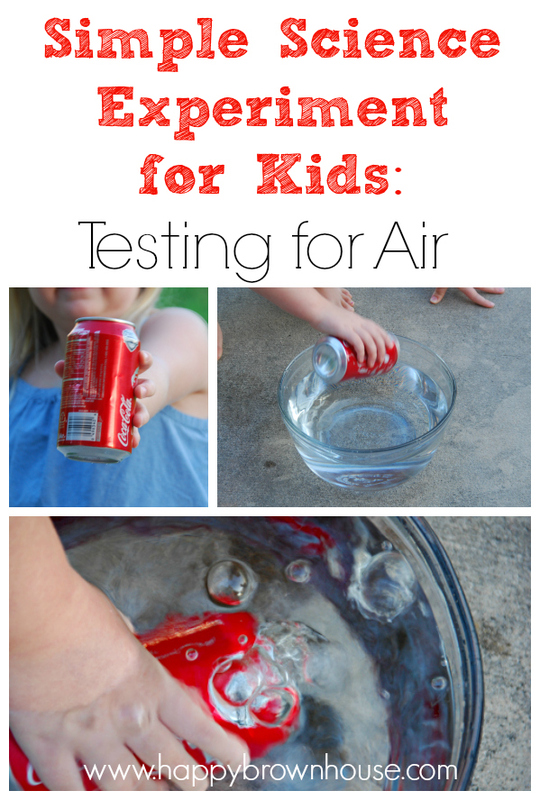 Want more air experiments for kids? Check out the book Science with Air! This is great for Preschool and kindergarten Science. Pinned for my little guy. I would love it if you linked up at the Geeky Educational Link Up. I think my readers would enjoy this. Love it! Seems like the kids would have a lot of fun while learning some science! I found you through the Friday Flash link party. If you get a chance, I’d love it if you stopped by my blog sometime! Have a fun weekend! Excellent experiment for preschoolers. Adding to my Preschool science board! This is great! 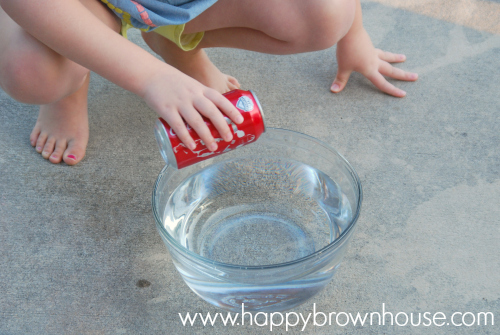 I love simple science experiments…thanks for sharing at the Geeky Educational Linkup! 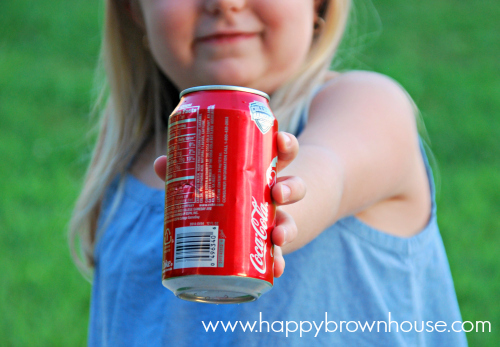 Simple science experiments are the best ones for science-challenged moms like me. 🙂 Thanks for linking up at Family Fun Friday! What a fun experiment! Thank you for sharing at Sharing Saturday! !